Why Focus on Advance Care Planning? A better health care system would help patients make the hard decisions early and ensure their wishes are fulfilled. Advance Care Planning (ACP) allows individuals to share and document their wishes surrounding serious illness, incapacitation, and end of life. One of the most prevalent misconceptions is that ACP is only necessary for those with a life limiting condition. ACP is available to everyone, regardless of their condition. Today, many individuals with advanced illness receive care that is fragmented, uncoordinated, or inadequate to meet their growing needs and personal wishes. Ensuring that care plans align with patient needs and wishes is the purpose of ACP. 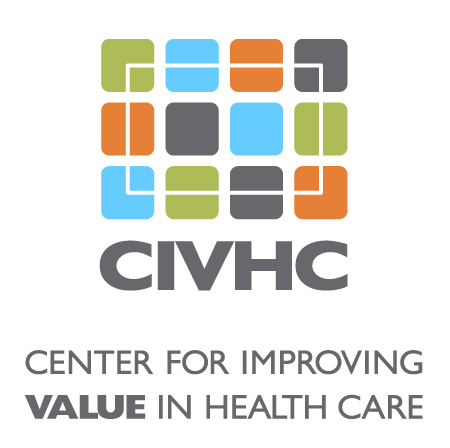 CIVHC convenes a monthly Workgroup designed to help providers, clinicians, social workers, and others to increase awareness of ACP and share best practices across sectors. Sharing community and organizational ACP work that highlights project experiences, lessons learned, and potential opportunities for best practice replication across the state. Identifying and engaging key stakeholders and organizations not currently active in ACP, disseminating shared objectives and enabling education. Partnering with the Reimbursement and Policy Workgroup and the Provider Training and Skill Building Workgroup to optimize the goals of each. CIVHC’s ACP Workgroup meets the second Thursday of the month from 2:30-4 pm. Contact Kari Degerness at kdegerness@civhc.org for more information. National Health Decisions day is April 16th! Visit our events page to locate a site near you to discuss and access resources for Advance Care Planning with trained professionals. Colorado Care Planning - Aims to help Coloradans find information for future medical planning, including choosing a medical decision maker. Oregon POLST Task Force - Provides background information on the national POLST paradigm, research findings and news, educational materials. Caring Connections - Offers support to patients and families including information on advance care planning and downloadable state-specific advance directives. Colorado Health and Hospital Association - CHA is the leading voice of the Colorado hospital and health system community. Representing more than 100 hospitals and health systems throughout the state, CHA serves as a trusted, credible and reliable resource on health issues, hospital data and trends for its members, media, policymakers and the general public. Colorado Health Care Association - The Colorado Health Care Association and Center for Assisted Living belongs to its member communities, the professionals who work inside those communities, and the guests who are residents of those communities. From skilled nursing to rehab, memory care to assisted living, CHCA exists to improve Long-Term Care in Colorado through education, advocacy, and political action. Hospice Analytics (National Hospice Locator) - The National Hospice Locator (NHL) geo-maps and provides information about every known hospice in the United States. The Conversation Project - The Conversation Project's mission is to foster meaningful and effective conversations about end-of-life care. They provider resources and education to start, have and document conversations around advance care planning.